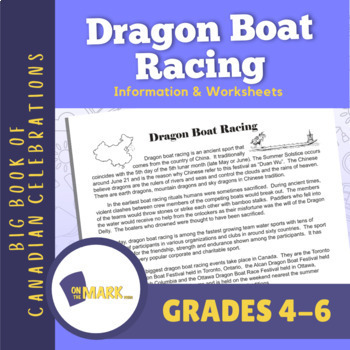 Dragon Boat Racing has become a very popular sport in Canada. The information reveals its history and the modern day usage of these large boats. The follow-up promotes reading and classifying factual information.